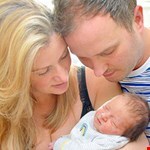 Are you thinking of taking the plunge into parenthood? Let first time mum Rachael guide you through life before and after babies. Comparing life pre and post Freddie’s arrival is like comparing the Beatles and Beethoven. Both undoubtedly wonderful but very very different. So with that in mind here’s a few things to consider if you’re thinking of taking the plunge into parenthood. Pre-baby, 3am meant the end of a good night. Post baby, it’s more likely to mean you’ve been woken from your slumber by the wailing of a hungry/teething/ill/just awake for no reason baby. Nights out and babies aren’t really compatible as we discovered to our detriment last weekend. 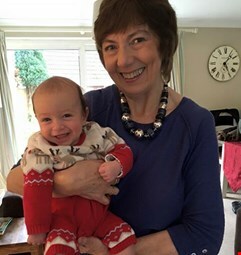 With my mum here to babysit we both headed out on our first big ‘night out’ together since having Freddie. It was a friend’s birthday party and it’s fair to say we let our hair down. What a wonderful time we had knocking back Prosecco (me) and gin (Steve) and feeling a bit like our pre-baby selves. We must do this again we said! Until we were rudely awoken at 7am and realised we had to look after a baby all day with a hangover. Thank goodness for Grandmas! We now speak of it no more. But consider our painful day a cautionary tale. Unlike good gin and tonic, child-care and big nights out do NOT mix. Kind of linked to that is if you’re not a morning person, you may be in trouble as a parent. Rarely have I met a child or baby that will sleep much past 7am and most, particularly since the clock change, think 5am is an acceptable time. Steve has always been a ‘terrific sleeper’ (ie fond of a lie-in) and I started to worry while I was pregnant that he wouldn’t be able to cope on less than 10 hours a night! But there is hope. He has adapted and swears he even enjoys his daddy and Freddie time when I send the two of them off downstairs to play at 5.30am. So far we’ve discussed some of the big things that will change. They pale in comparison to how much the little things will change. Leaving the house for example becomes a three act performance and before any trip out gets going there MUST be at least three returns to base to collect forgotten nappies, bottles, snacks etc. It’s a scenario wonderfully described by comedian Michael McIntyre. I am a fan of a neutral colour palette. When we moved into our house I lovingly chose muted colours of Farrow & Ball for each room including the nursery (fool!). I also like everything to be in its place and always need to have a good tidy before I can relax. Sadly nothing a child was ever interested in came in shades of ‘skimming stone’ or ‘elephants breath’. There is no getting away from the fact your house will be filled with tacky bits of plastic all the colours of the rainbow. And the brighter the better as far as the toy manufacturers are concerned. As for everything having a place, that still holds true… as long as that place is in the middle of the floor. And we haven’t even got to the stage where Freddie is going to be touching up the paint work with his crayons.